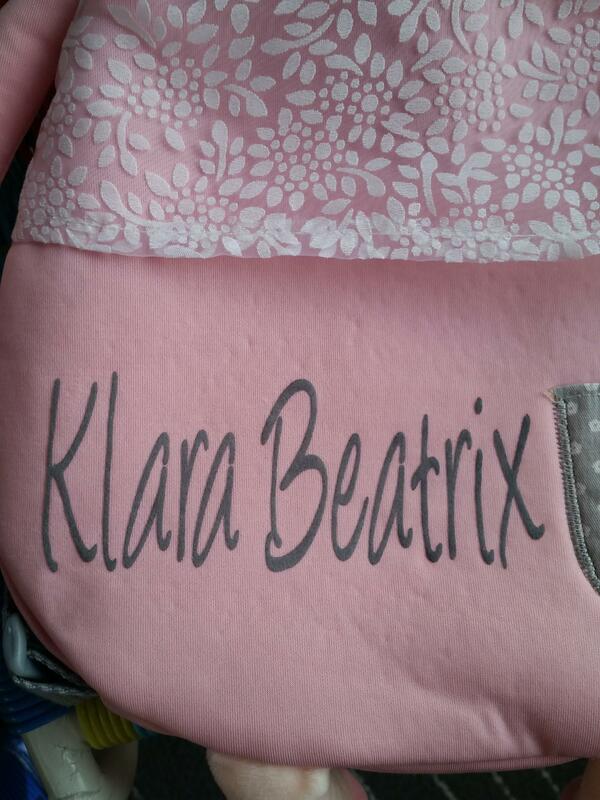 Our dolls and back packs can be personalised with your baby's name. Colours of lettering: white, black, grey. Choose your font: Picture 1, Picture 2. 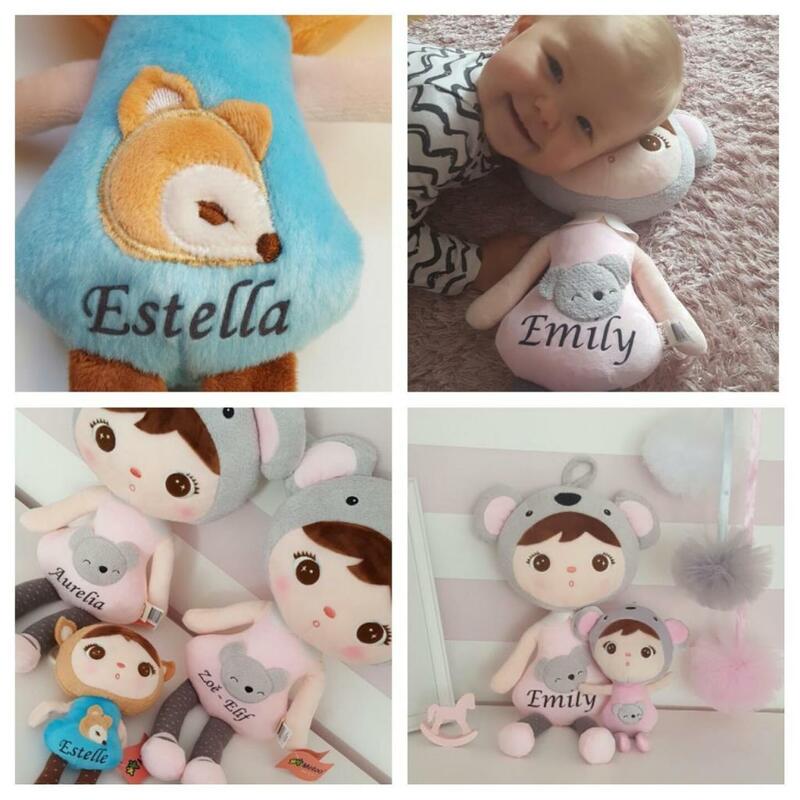 Choose your colour of lettering and leave the note with baby's name.